* Smart calls & messages reminder: Connect your cell phone via bluetooth and call your name smart alert to answer or reject. Social APP message content alerts. 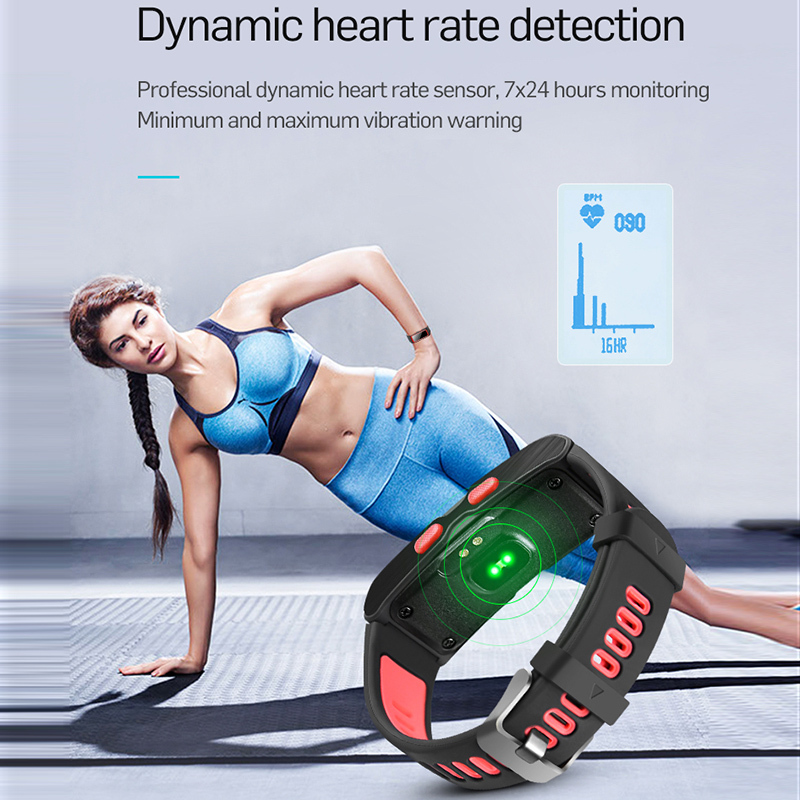 * Dynamic heart rate detection: Professional dynamic heart rate sensor, 7X24 hours monitoring Minimum and maximum vibration warning. 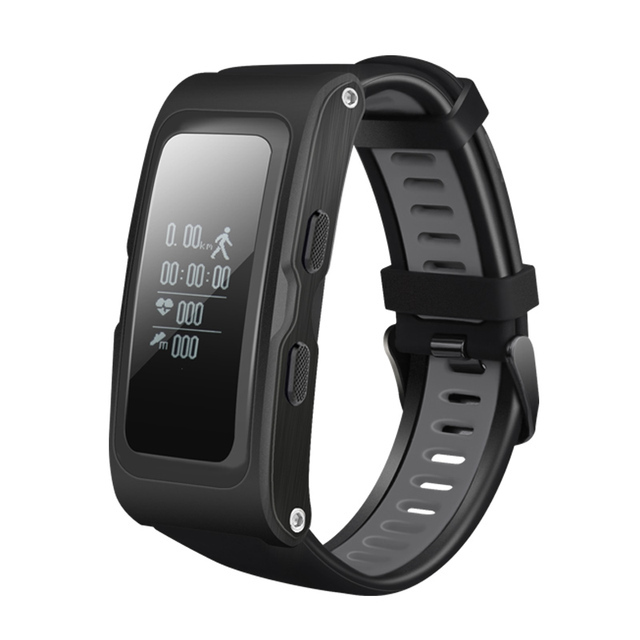 * Independent GPS trajectory: Important nano scale GPS chip, Professional data testing helps you to exercise scientifically (Support without app ). 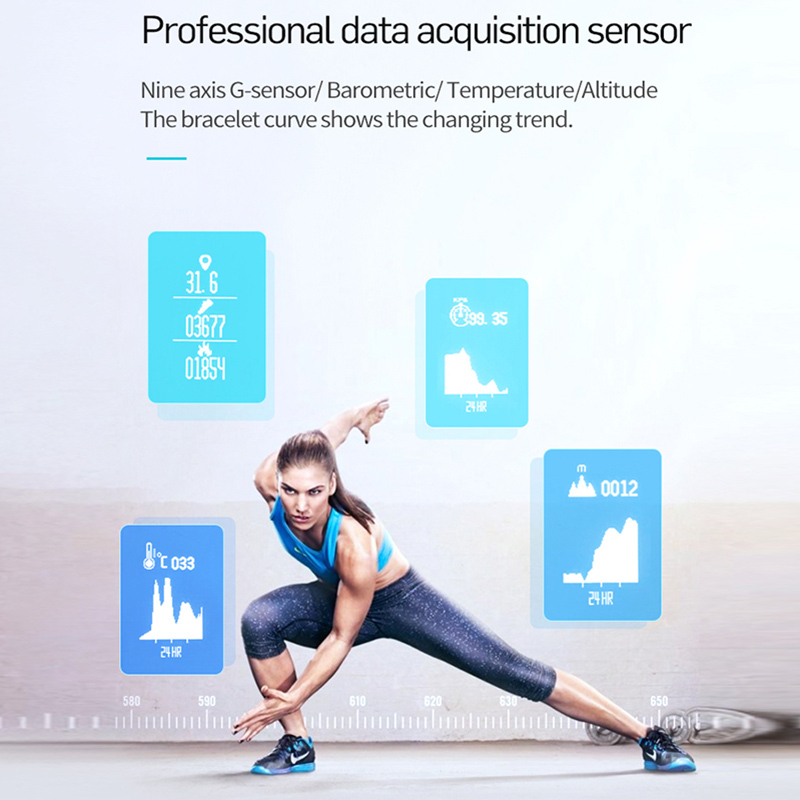 * Professinal data acquisiton sensor: Nine axis G-sensor / Barometric/ Temperature/ Altitude, the bracelet curve shows the changing trend. 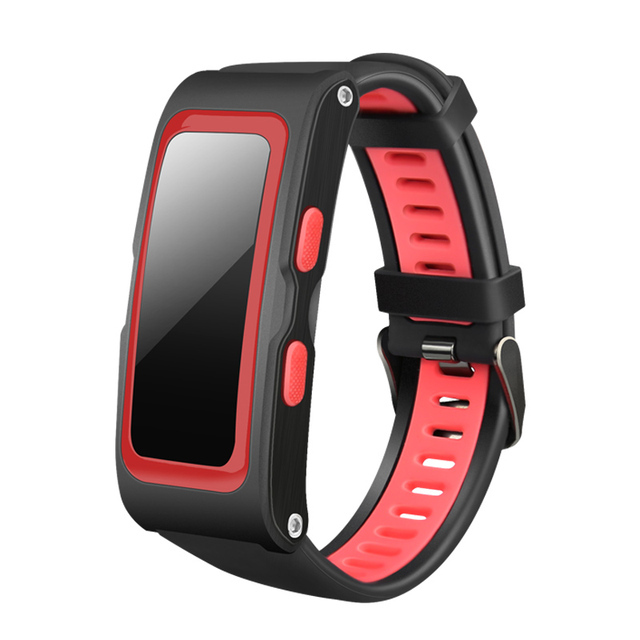 * APP name: “hplus watch”, you can download it at google play or app store. 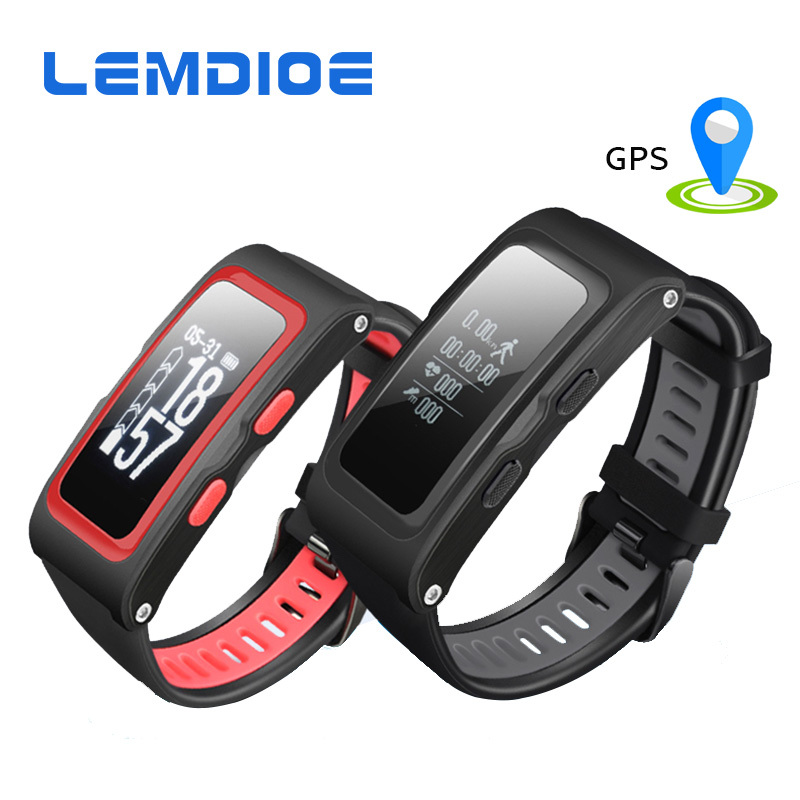 * GPS tracker record: Important nano scale GPS chip, Professional data testing helps you to exercise scientifically. * Professinal data acquisiton sensor: Nine axis G-sensor / Barometric / Temperature / Altitude, the bracelet curve shows the changing trend. 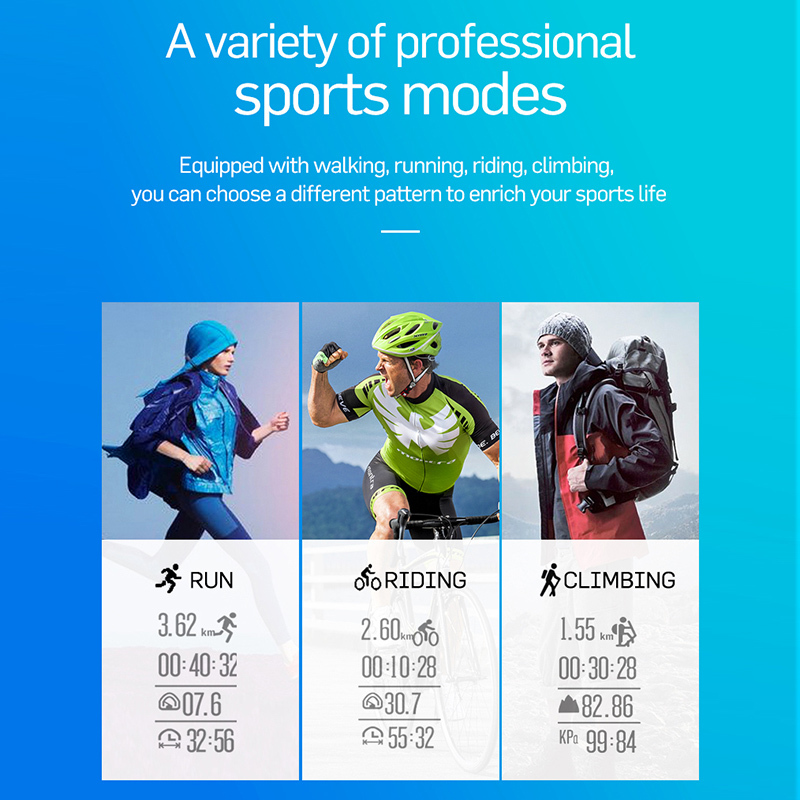 * A variety of professional sports modes: Equipped with walking, running, riding, climbing, you can choose a different pattern to enrich your sports life. * 0.96 inch super large OLED screen, Self luminous / Low power consumption. * Convenient operation interface: Simple operation logic, simple interface design, make operations easier to use. * Two color design, colorful collocation: Unique sweat groove design, sweat is not afraid of more, colorful collocation, please look forward to. * Smart call reminder: Connect your cell phone via bluetooth and call your name smart alert to answer or reject. * Smart message reminder: Social APP message content alerts. never miss any important information. 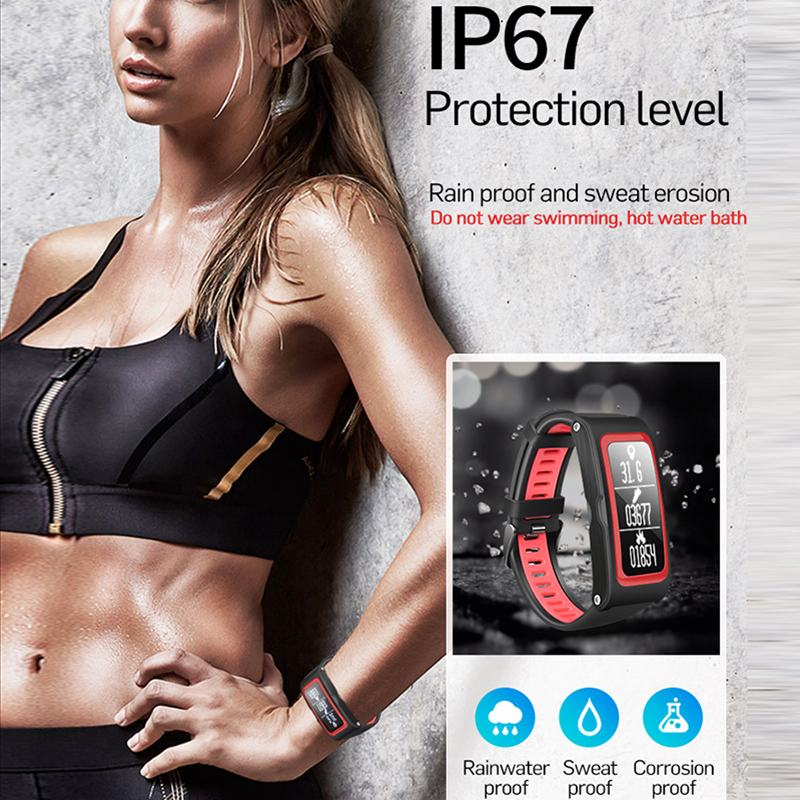 * Professional sports data analysis APP: More accurate grasp of daily movement and heart rate information, graphical dispaly.